This Festschrift honors Basil Demetriadi, and will be available for shipping in September 2015. This volume is limited to 150 hand-numbered copies, and will not be reprinted. It features 21 new, fully illustrated articles on ancient coins of the Greek world written specifically for this volume. 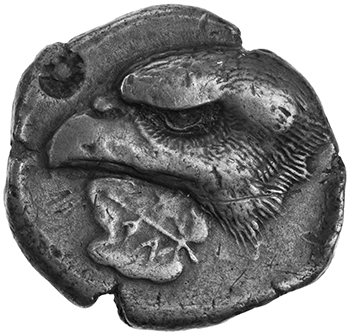 The 428-page, hardcover book is printed on heavyweight, archival paper, bound in Greek-blue linen, and handsomely slipcased, featuring a silver stamp of a stater with eagle head and leaf. John H. Kroll. Small Bronze Tokens from the Athenian Agora: Symbola or Kollyboi? Selene E. Psoma. Did the So-called Thraco-Macedonian Standard Exist? Hans-Christoph von Mosch and Laura-Antonia Klostermeyer. Ein Stempelschneider auf Reisen. Die Antinoosmedaillons des Hostilios Markellos und Hadrians Reise im Jahr 131/2 n. Chr.